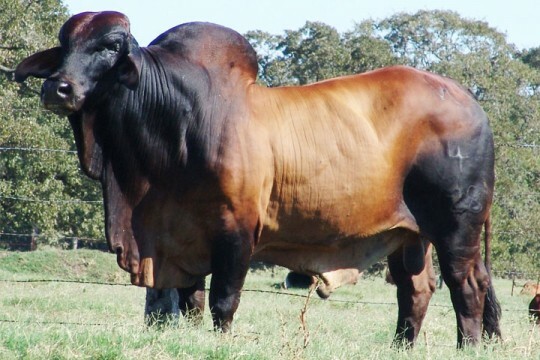 10/9 is a medium frame bull, loaded with color, muscle, and breed characteristics. 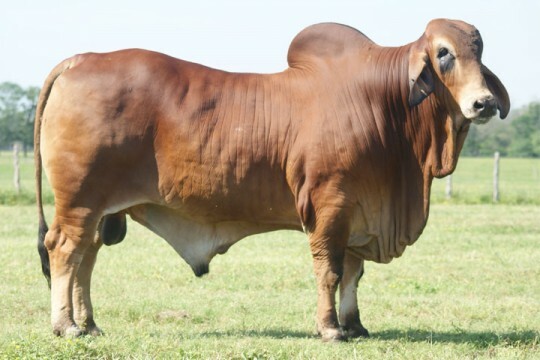 He offers the red Brahman industry an outcross option on Millionaire-bred females. Plus his daughters have superior milking and mothering ability. His steers have posted outstanding average daily gains in the feedlot. His calves are low in birth weight, making him highly desired by commercial cattleman. He had a desirable birth weight of 85 pounds, going on to weigh 625 at weaning and 910 at yearling. As a mature bull, he weighed 2,175 pounds and stood at a 61 inch Hip Height. 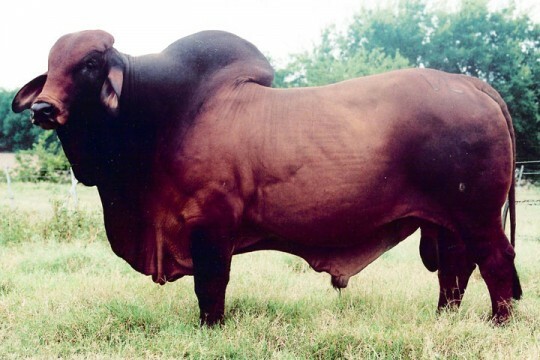 We recommend this bull for large-framed females that need additional muscle. We also recommend him to commercial producers who want the management advantage of low birth weights and desired feedlot weight.